Former Jaipur Pink Panthers star C. Arun is the Gionee Marathon Man of the Match award. Ravi Dalal gets the TVS Tyres Moment of the Match award amidst chants of ‘Ravi, Ravi!’ by the crowd. FT: ALL OUT! Monu Goyat completes the all out in the buzzer raid and doesn’t let Dabang Delhi take a single point in the match. Bengal Warriors get their first win of the season 31-23. Dabang Delhi make a disappointing start to this season as well as they now lie at the bottom of the table. 40’ Monu Goyat with an empty raid! Now Bengal takes a time-out with just a minute to go in the match and Meraj Sheykh is out! Will they get an all out in the final raid!? 39’ Selvamani K gets a touch point to save the Eagles from another All-out! He revives Meraj Sheykh! 38’ Super Raid! Amazing stuff from Ravi Dalal, gets 3 touch points! The Eagles have no plan for him tonight. Dabang Delhi are down to just a man! Time-Out taken by the Delhi-based franchise! 3 minutes to go: Bengal Warriors have outscored Dabang Delhi 9-2 in the last 10 minutes. What a turnaround! 35’ Ravi Dalal gets another raid point! He has been brilliant tonight! A great buy for Bengal! 33’ Monu Goyat is caught by an alert Eagles defence to make it a 2-point game! However, Meraj Sheykh is also caught in the subsequent raid! Great thigh-hold! He takes a review and is successful, Meraj got a bonus point before getting caught there! 31’ Prashant Rai is tackled and the Eagles suffer their 1st ALL-OUT of the match! Bengal leads 21-18! 30’ Ravi Dalal gets another touch point, reducing the Eagles down to just a man for the 4th time in the match! No Miraj this time around though! 29’ Finally the danger man is out! Ravi Dalal gets Meraj Sheykh out with a touch point! 28’ Both the teams exchange a series of empty raids! 26’ Super Tackle! Meraj Sheykh is in form of his life here, gets a solid ankle-hold on Monu Goyat! Dabang leads 17-15! 23’ Meraj Sheykh saves the Eagles for the 3rd time tonight! Being the last man, got Girish Maruti Ernak with a faint touch! Scores are level 15-15! 21’ Deepak Narwal starts the second half with an empty raid! Just to remind you, The Eagles are down to 3 men and Bengal are playing with 5 on the mat. Girish Maruti Ernak with another empty raid in the subsequent raid for the Warriors! 20’ Dabang Delhi have taken the lead now courtesy Monu Goyat’s mistake as he enters the box without any touch. 2 more points for Delhi as they close the half with the lead. 20’ Meraj Sheykh again! WOWWW! Saves the Eagles again with 2 points – a bonus and a touch point on Nilesh Shinde. The Iranian has been their saviour so far in the match. 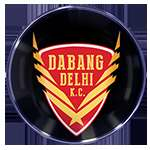 19’ Dabang Delhi are reduced to just a man after Jang Kun Lee gets Prashant Chavan out! 16’ Ohhh Kashi you beauty! Kashiling gets another touch point to level the game at 9-9! 14’ Meraj Sheykh saves the blushes for the Dabangs, gets two touch points being the last man! Before that, Monu Goyat reduced the Eagles down to just a man with a brilliant touch point! 10’ Brilliant tackle by Nilesh Shinde to get the substitute Prashant Kumar Rai out to reduce the Dabangs to 3 men. But, Anil Kumar gets a super tackle in on Monu Goyat to win 2 points for his team. 6-5 to the Warriors. 9’ Monu Goyat gets a touch point give Bengal a 2-point lead here at the DOME@NSCI SVP Stadium, Mumbai. 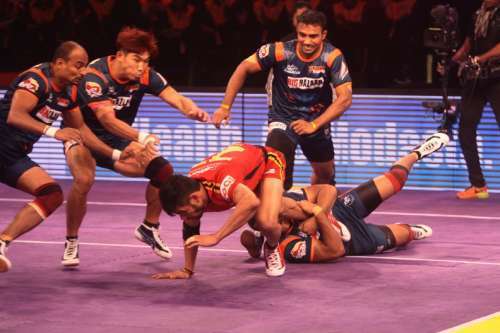 7' Bengal Warriors have taken the lead here, they have been fantastic in defence today, gets Kashiling Adake and Deepak Narwal are both caught, Bengal leads 4-2! 5’ Bengal Warriors are on level terms here as Monu Goyat gets a bonus point as well as, Nitin Madane gets a touch point for the Warriors. 3’ Kashiling Adake draws first blood here, gets a touch point to get Vishal Mane out. Jang Kun Lee is caught by an alert Dabang defence, Delhi leads 2-0! 2’ A series of empty raids exchanged between the two sides, slow start to the game! 1’ Nitin Madane starts the proceeding for the Warriors, empty raid! We are all set with both the teams taking their place on the mat, all eyes would be on Kashiling Adake as his form can be the difference between the two sides! The teams are on the mat, 5 minutes to the first raid! All set for Le Panga! Welcome to the LIVE coverage of game 1 of today’s double header played between Dabang Delhi and last season’s semi-finalist Bengal Warriors at the DOME@NSCI SVP Stadium, Mumbai. The Eagles will look to start their season 4 campaign on a positive note after what can be termed as an unforgettable season 3 while the Warriors will look to gain some momentum in their 2nd match of their season 4 campaign after losing their opening tie to Bengaluru Bulls with the lowest of margins in a thrilling opening encounter played on Matchday 2. The Delhi-based franchise managed to win just 1 win out of their 14 league matches and finished at a dismal 8th position in the league last season. The Eagles’ management had a difficult job of assembling a more balanced side for the upcoming season 4 in order to save them the blushes this time around. They retained their only star performers from last season in Kashiling Adake and Selvamani K while brought in some experienced performers in Prashant Chavan and Iranian import Meraj Sheykh to support them at the back. 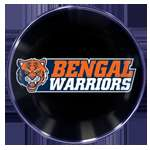 On the other hand, Bengal Warriors retained their skipper Nilesh Shinde and star defender Girish Maruti Ernak for the ongoing season 4 while roping in some of their players again in the season 4 auction in Jang Kun Lee, Mahendra Rajput and Nitin Madane. However, they had to do away with their star raider last season Nitin Tomar was signed by the star-studded Puneri Paltan side. The Warriors has an upper hand over the Eagles in the last 3 seasons of the Star Sports Pro Kabaddi history as they lead 4-2 in the total of 6 games played between them and also won both the league matches last season. The Dabangs have to be at their ultimate best in order to trouble this much more balanced looking Warriors side.